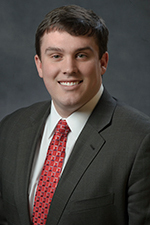 Michael (“Mickey”) J. Keane, Jr. is an associate at Garfunkel Wild, P.C., which he joined in 2012. He is a member of the firm’s Litigation and Arbitration Group, which advises clients on a host of litigation issues in both federal and state court. He is also a member of the firm’s Employment Law group. Mr. Keane received his B.A. from Johns Hopkins University, in 2009, and his J.D. from St. John's University School of Law in 2012, where he was an Associate Director for the Moot Court Honor Society, a Senior Staff Member for the American Bankruptcy Institute Law Review, and a St. Thomas More Scholar.